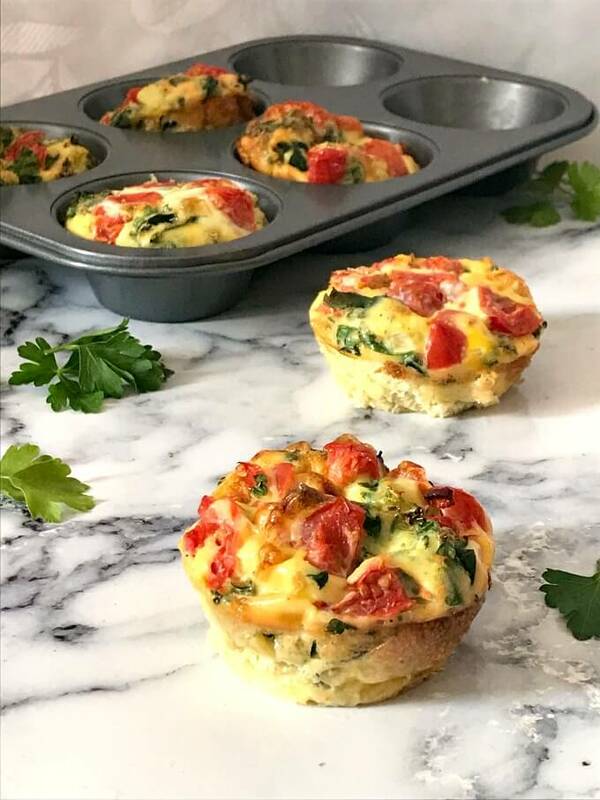 Healthy Egg Muffin Cups with Kale and Tomatoes, a delicious and highly nutritious breakfast recipe that is low carb, low calorie, and jam-packed with super healthy vegetables. Great as a breakfast on the go too. As much as I love breakfast, I don’t get very creative with it. The kids are up, and the whole world is up, you want to get their little tummies full sooner rather than later. That means, I might make some quick pancakes, which they always love, or some porridge (one loves it, with the other one it’s a bit of a hit and miss), or some good old weetabix and fruit. But these yummy scrummy egg muffin cups are absolutely fantastic. They can be made with anything you like. 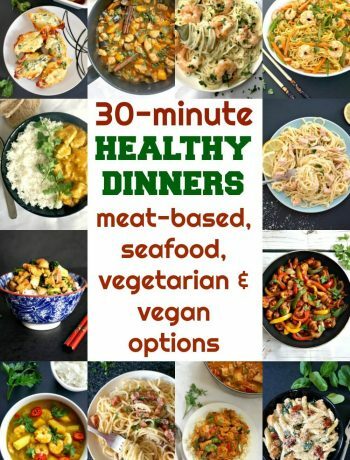 From vegetarian, like mine, to leftover chicken, beef or even fish, bacon, mushrooms, cheese, anything goes. And they keep really well in the fridge, although I would probably not keep them past one full day. The egg muffins can either be made fresh on the day, or made ahead the night before, and refrigerated. Either way, they are super healthy, and can be eaten on the go too. How so you make egg muffin cups? Pre-heat the oven to 180 degrees Celsius (350 Fahrenheit). 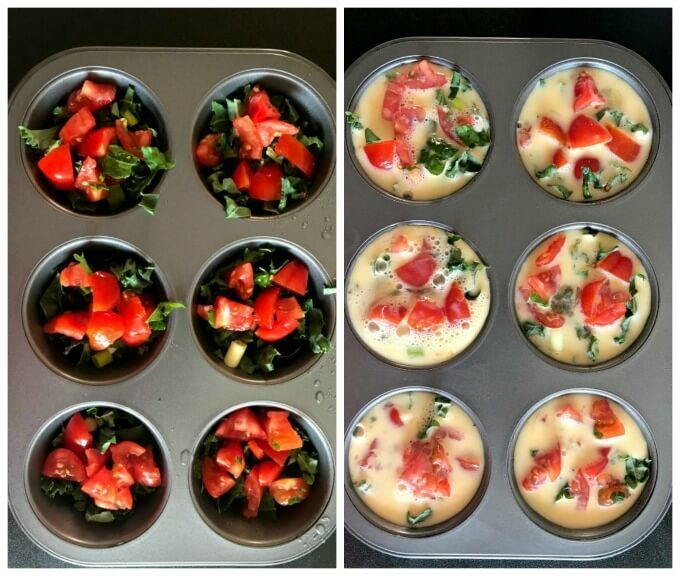 Chop the spring onions, kale and tomatoes, and divide them between the muffin tin holes. Beat the eggs with the milk, season with salt and pepper, and pour the mixture over the veggies. Don’t use muffin paper cups for these muffins, they will stick badly, and you will end up with a big mess. All you have to do is oil the muffin tin holes very well, if you have oil spray even better. Or just grease with butter if you like. Once they are out of the oven, leave them to cool, then use a sharp knife to losen the edges, they should pop out easily. 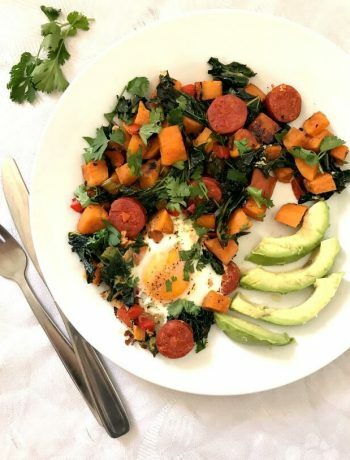 And this is the best breakfast you can get for the whole family, quick and easy, delicious, and super healthy too! 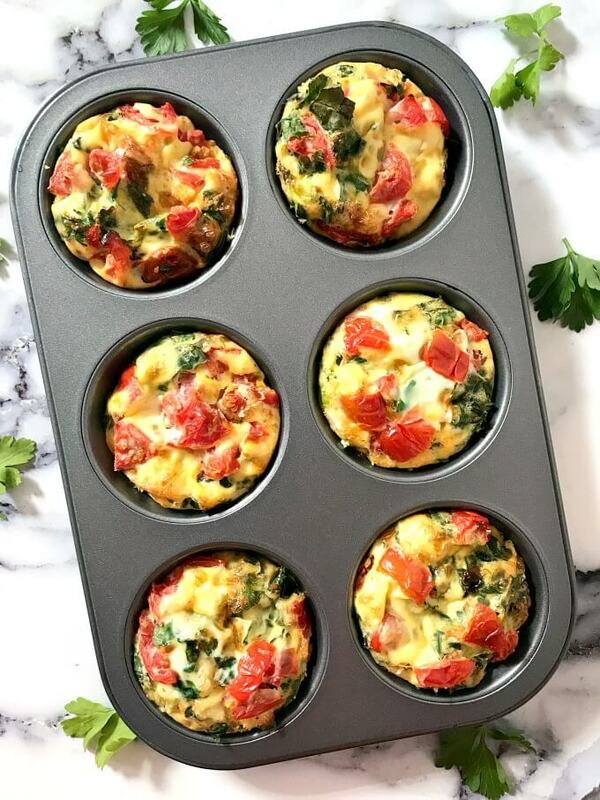 If you’ve tried thiese HEALTHY BREAKFAST EGG MUFFIN CUPS WITH KALE AND TOMATOES or any other recipe on the blog then don’t forget to rate the recipe and let me know how you got on in the comments below, I love hearing from you! You can also FOLLOW ME on FACEBOOK, and PINTEREST to see more delicious food and what I’m getting up to. 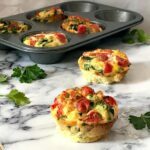 Healthy Egg Muffin Cups with Kale and Tomatoes, a delicious and highly nutritious breakfast recipe that is low carb, and jam-packed with super healthy vegetables. Great as a breakfast on the go too. Preheat the oven to 180 degrees Celsius. Grease a 6-hole muffin tin with oil. Chop the spring onion and tomatoes, and divide them between 6 muffin tin holes together with the shredded kale. 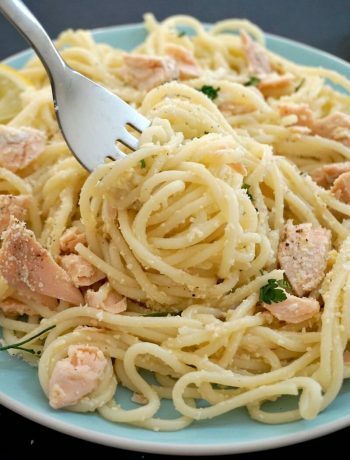 In a bowl, beat the eggs with the salt and black pepper, then add the milk and stir to combine. Pour the egg mixture oven the vegetables, then bake in the oven for about 20 minutes or until the muffins are cooked through.